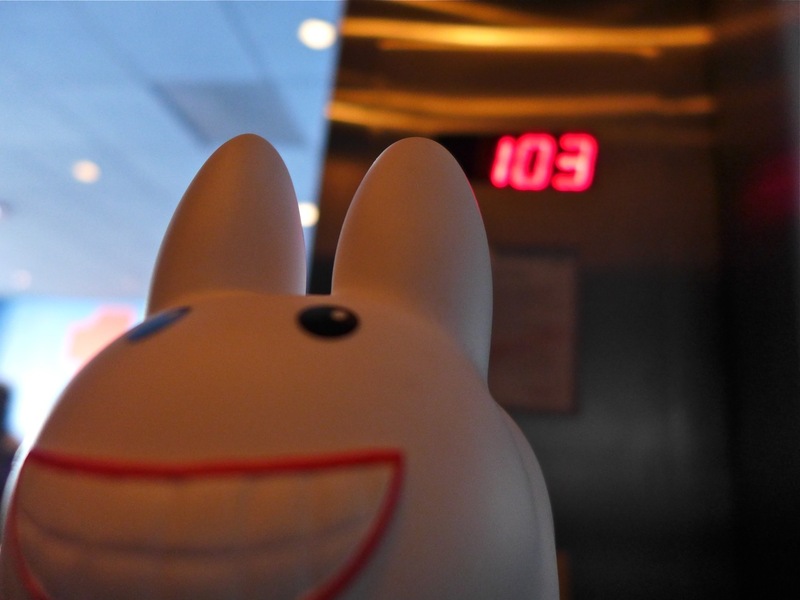 Year of the Labbit: 103! Guess where Pipkin's posing?? 103 is the first clue! Here's the second clue. Pipkin's looking to the north. And now Pipkin and Domo are checking out the southside. 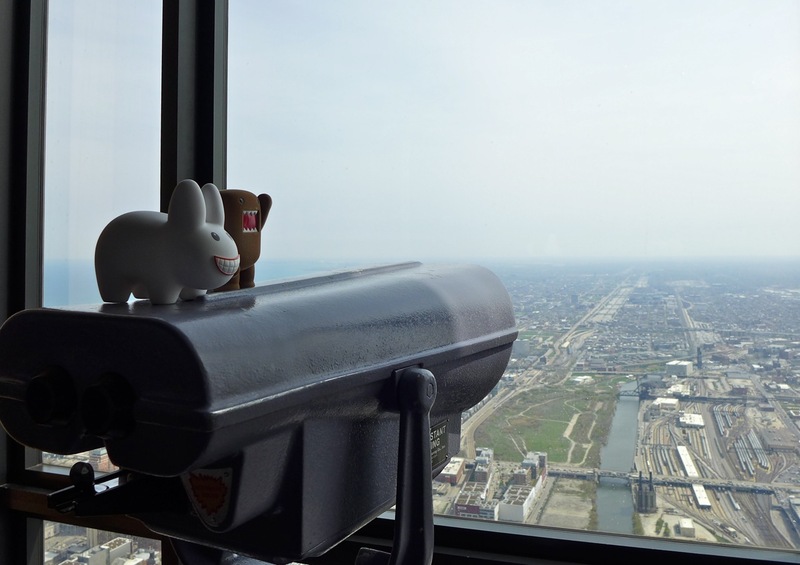 They're at the observation deck on the 103rd floor of the Willis Tower (formerly the Sears Tower) in Chicago, Illinois! 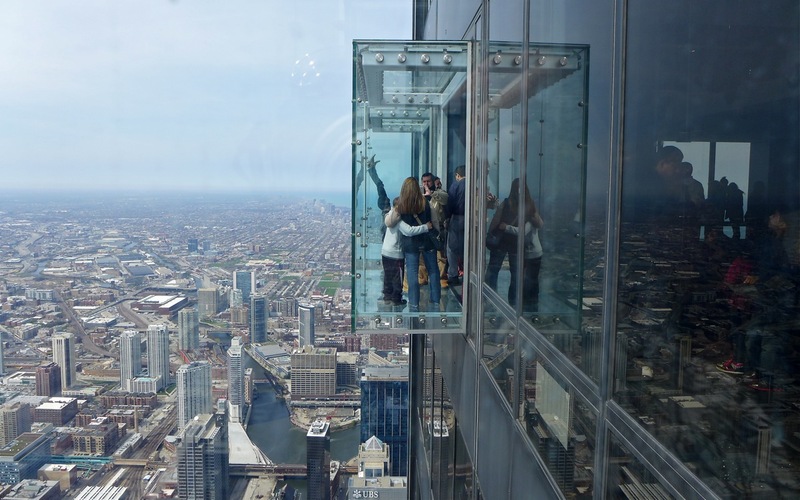 In the photo above, they're in the glass box known as the Ledge, which stands 1,353 feet up, and 4.3 feet out from the building. You can see the north branch of the Chicago River here. There are two boxes on the west side of the building, and it's fun to watch peoples' reactions getting into the box. If you're not fond of heights, you might not want to step in. 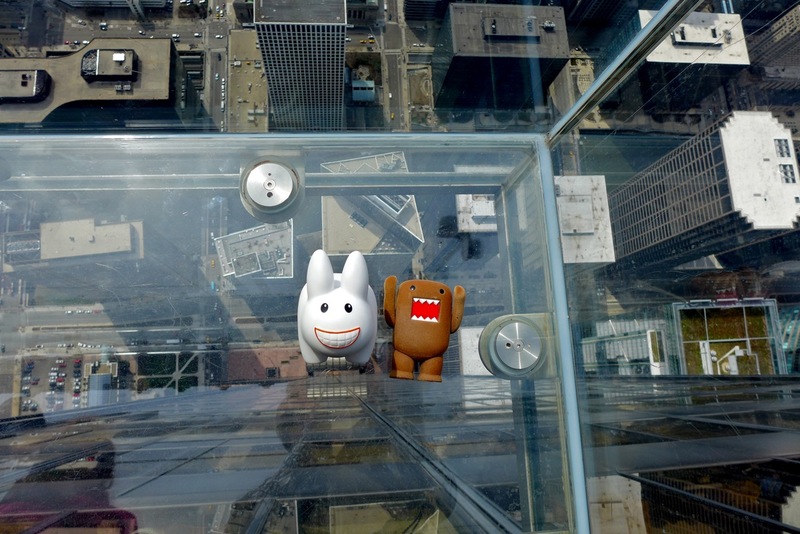 Clearly, Pipkin and Domo have no problem with heights. 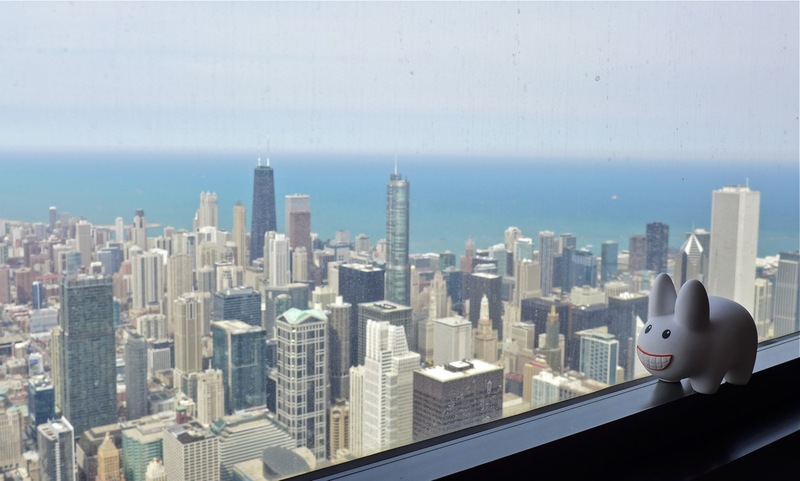 It was a beautiful day when they went up the Willis Tower, so they got amazing 360 degree views of Chicago. They can't wait to explore more of the city. So far, they've found Chicagoans to be polite, friendly, and the city is very clean. Pipkin's favorite thing about Chicago so far is the waterfront, more specifically, the public's access to the waterfront. 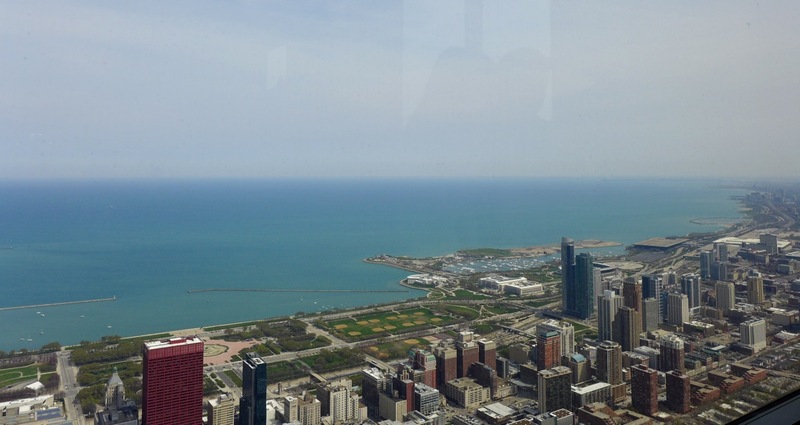 What you see above is Lake Michigan, and all that green space downtown along the waterfront is a series of gardens and parks, all free to the public. Look at all those baseball diamonds! It so easily could have been high priced waterfront real estate, but instead, the City of Chicago has beautiful green space for everyone to enjoy. Just behind the red CNA Center building is Buckingham Fountain, one of the largest fountains in the world. Pipkin and Domo are headed there soon, so you'll get a closer look. You can also see the Shedd Aquarium, Field Museum and Adler Planetarium jutting out into Monroe Harbor. Click on any of the photos above for a larger picture. Keep coming back to the blog to see more of their adventures. Chicago! I'm more interested in knowing people's reactions to Pipkin and Domo on the Ledge! People commented on how cute they are (they are cute, aren't they?). All around Chicago, and most everywhere I photograph them, people typically react with smiles. And that's what it's all about.